Even diapers and wipes available! We are located in beautiful Sayulita, Nayarit, and offer delivery to the following areas: Sayulita, Bucerias, La cruz de Huanacaxtle, Punta de Mita, Punta Negra,Litibu,Higuera Blanca, San Pancho, Lo de Marcos and Puerto Vallarta. Sayulita Beach & Baby is here to assist in making your family’s visit a pleasant and convenient experience!!! Thank you for choosing Sayulita Beach & Baby. 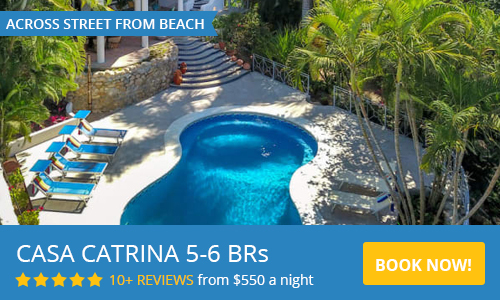 We look forward to enhancing your vacation by providing your family with the familiar comforts of home while visiting Sayulita and the surrounding area. the system near your baby’s bed, and spend some much needed time to yourself! while! Make sure they are safe in your rental home by renting a Standard Safety Gate. Airport Transportation: Round trip suburban service to/from Puerto Vallarta International airport equipped with car seat. We rented a high chair and a bag of toys for my one year old. Everything was clean and in good shape, and there was a good selection of toys. Everything was great! We’ve had good luck with Sabrina in the past but this year our chairs and umbrella were not delivered until the morning after our arrival. We had to delay our trip to the beach while we waited. The chairs were in ok shape and the umbrella was in good shape. We stayed in Sayulita for a week and rented a crib, stroller, high chair and some toys for my 12 month old. Sabrina also did some groceries for us so we would have everything we needed upon our arrival, it was perfect. Highly recommend Sayulita Beach & Baby!! We rented a few items from them which were delivered to the house we stayed at before we got there! Everything was clean and in great condition! Highly recommend! Sabrina is fantastic to work with and she makes the whole process so easy. We came to Sayulita with a group of 12 kids under the age of three and she was able to accommodate everything we needed. I am so thankful for Sayulita Beach and Baby. What a fantastic service for parents who want traveling with little ones to be simpler. Having this service offered in Sayulita is a huge benefit for our family. Having Sabrina be so timely in her communications, efficient with delivery/ set-up, and responsible in providing great equipment, made this part of our trip worry-free. A great value for the time and energy it saved hauling these baby items for ourselves. I can't say enough good things about Beach and Baby! Baby Harper thanks you Sabrina, as do we all! We loved working with Sayulita Beach & Baby. We rented a slew of things for the beach and our 7 month old including a crib and jogging stroller. The owners were prompt via email, got in touch with our accommodations host and had everything delivered to our casita before we even arrived in Sayulita. We arranged car transport as well within Sayulita and to and from the airport and all of the drivers were great. They provided a rear-facing car seat and cold Pacifico for the rides. Will use again!! We inquired via email about a jog stroller, and one was delivered to our door within 30 minutes of confirmation. Awesome. Will rent additional items on the next visit! We rented pack n plays, booster style high chairs, safety playard pen, and toys in March '14. The items were delivered to our rental house before we arrived, which was greatly appreciated. They were all in excellent condition and very clean. My kids loved the selection of toys. I contacted Sabrina at Sayulita Beach & Baby by email about 1 month prior to our family traveling to the Puerto Vallarta area. She was quick to respond back to me and she answered all my questions about the baby equipment. We stayed in a condo in Punta De Mita for 10 days and Sabrina's husband delivered and set up the baby equipment (Pack-n-Play crib, baby beach cabana and 2 free baby floats) at the pre-arranged time of 5:00 pm on a Sunday afternoon. The equipment was clean and in very good condition. We paid for the equipment when it was dropped off ($55.00 US for the Pack-n-Play crib and $11.00 for the baby each cabana). The equipment was also picked up at the arranged time with no issues. Sabrina also arranged for transportation from the Puerto Vallarta airport to Punta De Mita at a cost of $135.00 US return trip. Again, everything went smoothly. When we arrived at the airport the driver was waiting with a sign with our name on it. We were transported in a air-conditioned van and given a Pacifico beer as soon as we sat down. We were picked up fom the condo at the pre-arranged time 10 days later and dropped off right at the departures area. I would not hesitate to use Sayulita Beach & Baby for both the baby equipment and transportation option.